This chicken is simple to prepare and makes a great little addition to salads, zoodles or a simple broccoli bowl. Add all ingredients but lime zest, peanuts and zoodles to a Ziplock and marinade 3 hours to 1 day. Bake the chicken at 400 degrees F for 25 – 30 minutes, or until cooked through. 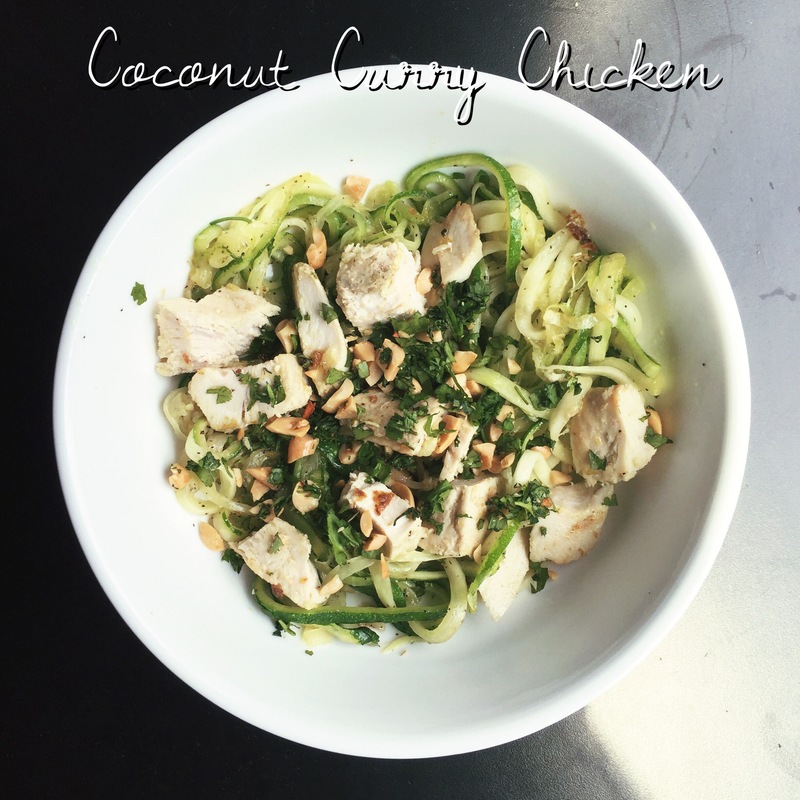 Serve with the zest of 1 lime and a hand full of chopped cilantro + peanuts over zoodles. It is! The marinade really gives the chicken a nice flavor – it’s even great cold in a salad the next day.